Do you have ideas on how to improve the quality of life for those who live, visit, study, or work in the City of Coral Gables? 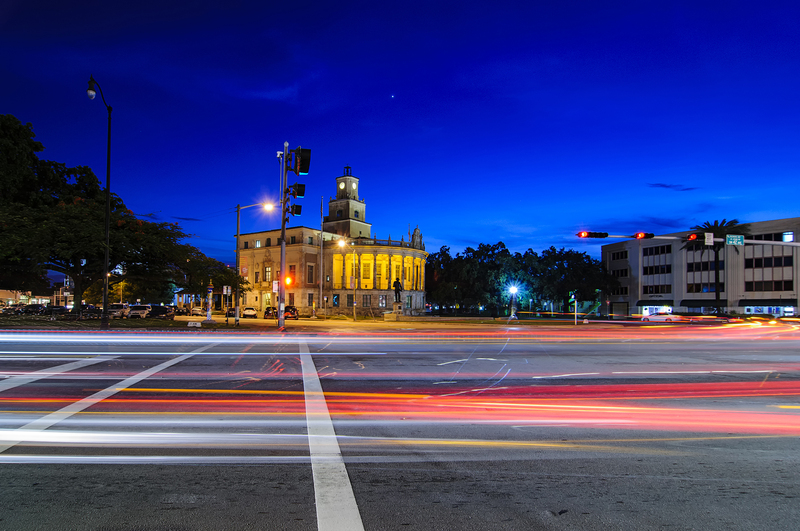 The Design Your Coral Gables: Smart City Solutions Competition is your chance to bring your ideas to life by prototyping technology solutions on 1 of 5 Transportation and Traffic challenges. Join us to make a difference and win CASH and OTHER PRIZES! Organized by the City of Coral Gables, the University of Miami School of Architecture, and the University of Miami Center for Computational Science. The Competition officially launched at the 3rd annual Smart Cities MIAMI Conference (Friday, January 25, 2019). The Competition registration period is now closed. For questions regarding the Competition, please email ccsengagement@miami.edu. There is no fee to enter the Competition. February 21, 2019 Checkpoint 1 (budget due) – Venture Café Click here to RSVP for checkpoint #1! March 21, 2019 Checkpoint 2 – Venture Café . Amazon Room 6th floor Click here to RSVP for checkpoint #2! At each of the two checkpoints, teams will present the progress they have made on their solutions and receive feedback from the judges. These face-to-face, real-life events provide excellent opportunities to meet and network with the other participants, city officials, judges, and UM staff, students and faculty! 6:30 – 8:00 PM Individual PowerPoint presentations + Q&A (10 min (recommended) w/5 min Q+A per team] . Participants planning to deliver any type of digital presentation are asked to bring their own laptop and any adapters required to connect to the AV equipment. Three prizes will be offered across 2 categories: Web/Mobile Applications and Internet of Things (IoT). Finalists will also receive recognition at eMerge Americas 2019 (April 29-30), and at a Coral Gables City Commission presentation (Date TBA). Engaged citizens, urban planners, architects, engineers, businesses, and others—regardless of background or skillset—are invited to participate in the Competition. In order to provide an opportunity for direct impact on the quality of life in Coral Gables, solutions submitted through this Competition will have a chance to become integrated into the Coral Gables Smart City Hub. Find more information about the Smart City Hub by visiting: coralgables.com/smartcity. Teams will compete over a 3-month period, affording networking opportunities and the chance to make a difference. Diversity of backgrounds leads to innovation, therefore, the formation of multidisciplinary teams is encouraged. The Competition will be focused on 5 specific sub-problems under the general domain of transportation and traffic. The City aims to improve the quality of life for its citizens and visitors who are travelling by car, via public transportation, or on foot. 1. Commercial Trucks in the Coral Gables downtown area (parking, blocking, traffic congestion, blocking alleys, loading zone violations, public safety issues, pedestrian/bike conflicts). 2. Parking (availability, efficiency, finding parking in Downtown and other areas). 3. Environmental Sustainability of transportation solutions (carbon emissions, air quality, noise pollution, adoption of EVs, etc.). 4. Public Safety related issues (pedestrian and bicyclist safety, etc. ); Encouraging walking/cycling in Coral Gables, including making these modes safer for all users. a. Provide data to residents on speeding in their neighborhood, which can be used to justify traffic-calming devices (IoT devices that measure speed and detect license plates / a variety of technologies that work together / cheaper, faster IoT). b. Waze data partnership providing real-time-incidents data such as: accidents, traffic jams, construction. c. Real-time actionable maps for first responders (quicker turn around for speed studies done by officers). An ESRI collaboration platform for access to pre-release datasets (link forthcoming). An overview of the available resources can be found here. Although the challenges outlined above are transportation-and-traffic specific, robust solutions will consider additional factors and their interplay with transportation and traffic issues. Therefore, we encourage all teams to explore the breadth of datasets and resources outlined below. Include a description of each team member’s contribution, participation, and role in the project. The Competition is open to everyone regardless of age, profession, or occupation. 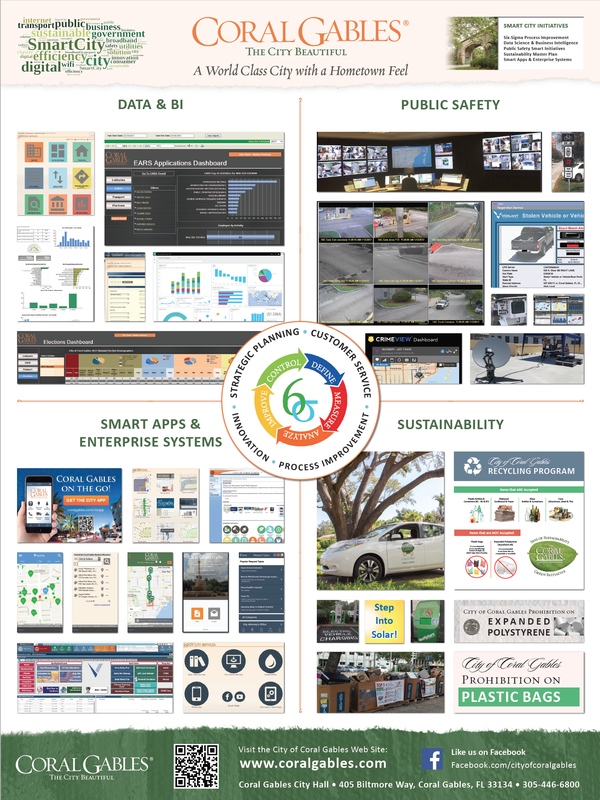 You must use the resources available on the Coral Gables Smart City Hub. You may use supplementary resources from any other sources, as long as they are intended for open use, or, you have explicit permission to use them. All solutions must have the potential to integrate with the Coral Gables Smart City Hub. Teams should not exceed 5 members, with clearly separated tasks that are carefully outlined in your final submission. Teams should consist of members with expertise in more than 2 disciplines. You may integrate previous projects that you have worked on into your solution, provided that they are indeed your projects. If you are building on previous work by other groups, ensure that you have explicit permission to use it, and, ensure that you provide detailed credits of who made which contributions. You may seek help from other experts, consultants, anyone outside of your team who might be useful, as long as you disclose their contributions in your submission. Participants may not enter into the Competition on behalf of or as a representative of an organization. Participants cannot produce for consideration a product that is already in the market. Winners will be selected during the final presentation event. 1st and 2nd place winners will be decided by expert judges. The 3rd place award will be a People’s Choice Award, decided through voting by attendees at eMerge Americas. Interconnectivity: Is there a clear way to integrate solution with Smart City Hub? Feasibility: Does the technology exist to do this well?